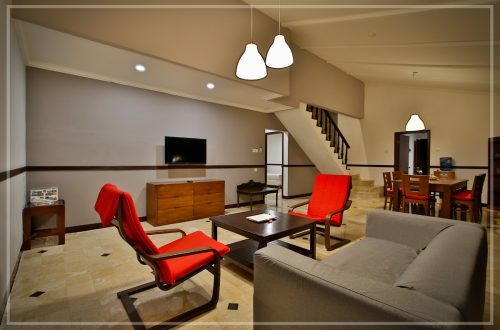 The Jayakarta Anyer Hotel has 47 guest rooms comprising of the Boutique Suite – 18 Rooms, Bungalow 3 Bedroms – 21 Units, Bungalow 4 Bedrooms – 8 Units, including a brand new The Boutique Suites. All units come with minimalist design, luxury bathtub & shower, living room with a sofa bed and private balcony looking over the ocean. 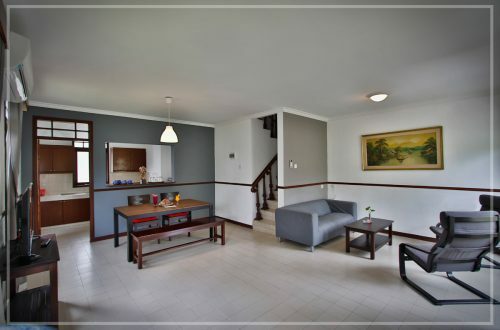 All cottages have IDD telephone, air conditioner, mini-bar, remote control television featuring TV Satellite & in-room movies, dining room, living room, full set kitchen and tea/coffee-making facilities. 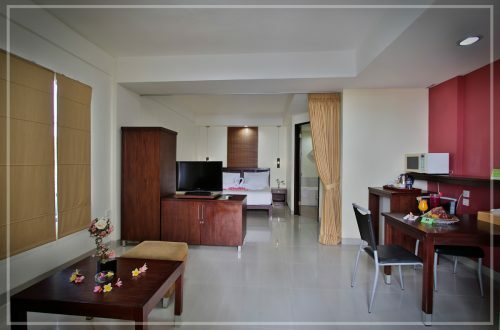 The bathroom come in bathtub and shower combination with full amenities and hot/cold shower.